Showing results by narrator "Joan Winmill Brown"
"One night I dreamed a dream. I was walking along the beach with my Lord." 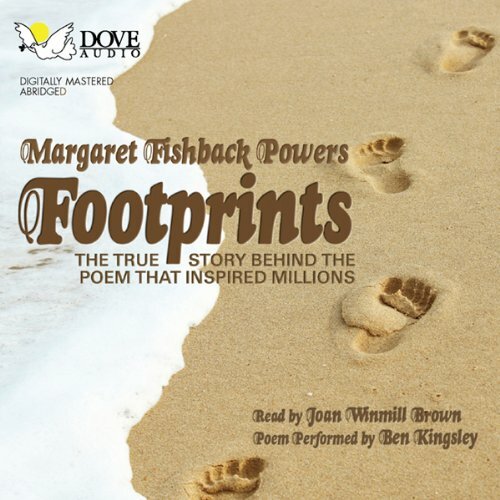 So begins "Footprints", a poem written in 1964 by a young woman named Margaret Fishback, who was searching for direction at the crossroads of her life. It has appeared on plaques and cards, calendars and posters, inspiring millions of people all over the world. The creation of the poem, its subsequent loss, and astonishing rediscovery are intertwined with a life full of challenge, adversity, and joy.